A mild drama occurred yesterday before a Federal High Court in Lagos as two lawyers, one from the Economic and Financial Crimes Commission (EFCC) and the other from the office of the Attorney-General of the Federation (AGF) disagreed over who was empowered to prosecute some suspects in a multi-billion fraud at the Consolidated Discount House Limited. The drama started when the lawyer from the EFCC, A. B. Ozioko, who brought the suspects to court from the commission’s custody, announced his appearance for the prosecution. Immediately another lawyer, D. C. Enwelum, also announced appearance for the prosecution. According to Enwelum, he was authorised by a fiat issued by the attorney-general of the federation (AGF) to prosecute the case. At this stage, the trial judge, Justice Mohammed Idris said the issue of who had the authority to prosecute the suspects must be sorted out before the suspects are arraigned. Three separates charges were filed against the suspects. The judge then adjourned the three cases to March 8 for arraignment. 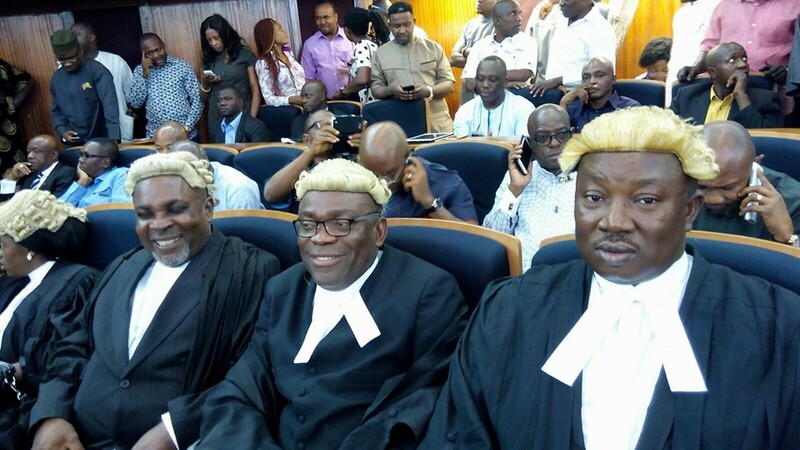 Following the decision of the court, Ozioko applied that the suspects be remanded in EFCC custody to guarantee their attendance in court at the next date.